Effective immediately, the Joint Commission has approved secure messaging solutions, like the platform products offered by TigerConnect, for sending and receiving physician orders. 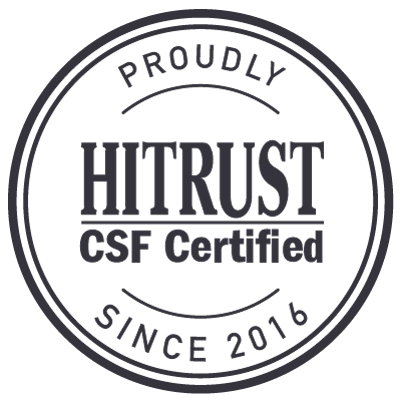 For all healthcare stakeholders – and in particular product managers and software developers at the leading EHRs – this announcement clears the path to innovate and invest in secure messaging products embedded within existing solutions. See Discussion Points below. By streamlining the order process for doctors, nurses and other care team members, the new ruling will improve accuracy and eliminate the need for phone calls, faxing or chasing colleagues down the hall. The ruling marks a transformational shift for the leading care coordination vendors, in particular EHRs. While clinicians continue to adopt new technologies and apps on their personal devices, many EHRs have not kept pace and continue to prop up legacy DIRECT message solutions. The DIRECT protocol, a government-led project launched back in 2010, is an asynchronous tool that commonly resembles a formally structured email inbox. DIRECT contrasts sharply with the current generation of mobile-first messenger products, like Apple’s iMessage, Facebook Messenger, TigerText and SnapChat (none of which were launched in 2010). So what does the new ruling really mean for EHRs? 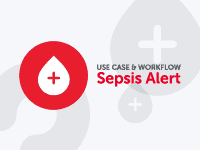 EHRs may now offer products for texting orders, “as long as a secure text messaging platform is used.” The important caveat is that solutions that enable regular SMS texting to transmit ePHI are NOT permitted. 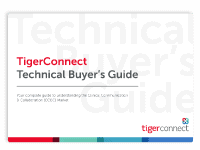 Instead, EHRs must develop a secure product that meets the Commission’s Requirements, either building from scratch or leveraging existing APIs and SDKs, such as those offered by the TigerConnect developer platform. Notice the requirement around customized retention time, which developers refer to as Time-to-Live (TTL). Most internally developed solutions and third-party products do not meet these stringent criteria – even building a simple feature like customizable TTL requires product roadmapping and expensive development. 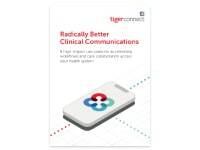 The TigerConnect platform is the only developer solution that meets all of these requirements and has a track record of building white-label secure messaging solutions within existing EHRs. Discussion point: What should EHRs do next to meet the Commission’s guidelines? Frankly, it depends on the existing solutions. For EHRs that have developed a Version 1.0 secure messaging solution in-house, this Ruling marks a real challenge: should they continue to invest internally on a long-term product roadmap while missing out on the benefits of the Ruling, or should they accelerate time-to-market by partnering with a platform like TigerConnect? For EHRs that have not yet launched a text messaging solution, the Ruling should mark a critical focusing point: should they continue to ignore consumer demand (not to mention revenue) in the face of increasing competition and crystal clear “Go Forward” guidance from the Commission? Last, for EHRs that have partnered with a leading platform like TigerConnect to embed secure messaging deeply into their products under their own brand, the ruling not only marks a huge victory and endorsement of their corporate and product strategy, but also an enormous competitive advantage in the market. For additional information on how to interpret the Ruling in the context of your EHR, please email Developer@TigerText.com or visit tigerconnect.wpengine.com/tigerconnect to review secure messaging platform components that can be used to build products that meet the Ruling’s stringent criteria.